Symphony No. 3, Op. 27, FS 60, CNW 27 "Sinfonia espansiva"
Symphony No. 4, Op. 29, FS 76, CNW 28 "Inextinguishable"
Thomas Dausgaard leads the Seattle Symphony in a rousing follow up to their acclaimed release of Mahler’s Symphony No. 10 with their recording of Nielsen's Symphonies Nos. 3 & 4. 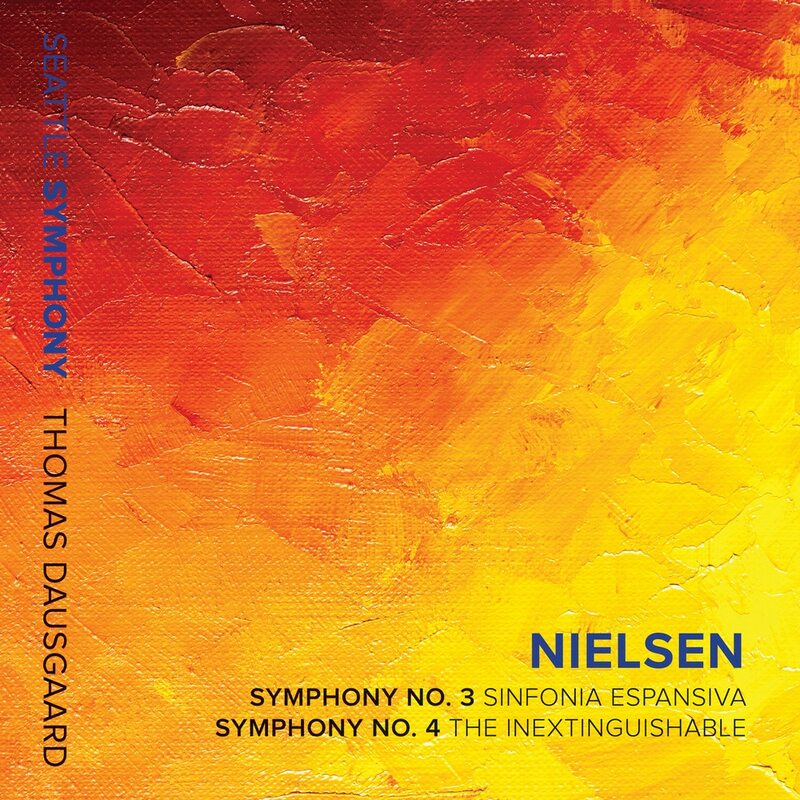 The first in an expected cycle of Nielsen's symphonies, this release continues Dausgaard's advocacy for Danish music, and his dynamic interactions with the Seattle musicians makes for an energizing and absorbing listening experience.